Alibaba will also enter the battle of the IM market in China. They have a plan to collaborate with China Mobile. 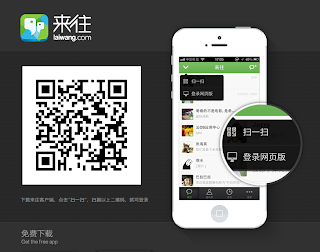 WeChat already have about 500 million users, and Yixin also got the good start last week. So the IM market in China is becoming more and more hot, but it seems that Alibaba, who is the giant of the EC market in China, also would like to enter this battle by re-promoting their IM tool 'Laiwang'. There are the two verifications for this. 1. Alibaba CEO sent the internal email to start the bounty system of using 'Laiwang' to the all of staff last week. According to the leak, their bounty system is for encouraging to use 'Laiwang' to their staff, and it is said that the most potent person can get 100,000 RMB (= 16,210USD) bonus. 2. Alibaba started to consult with China Mobile the chance of collaboration in this market. According to the insider, Alibaba recently started to consult the possibility of collaboration with China Mobile by this 'Laiwang', and it may be that they would like to follow the success of Yixin. Alibaba already acquired 18% share of Sina Weibo on April, and they already started to accelerate their social media solutions. But they may would like to get the killer tool of IM to accelerate more this area, so I think that its action is very natural. But its Sina Weibo also have their IM tool 'Meyou', and a company that Sina invested before also recently publish the IM tool 'WeMeet'. Alibaba and Sina will go to the each way in this area, or also will have the collaboration as same as Weibo... We have to continue watching their actions as ever.